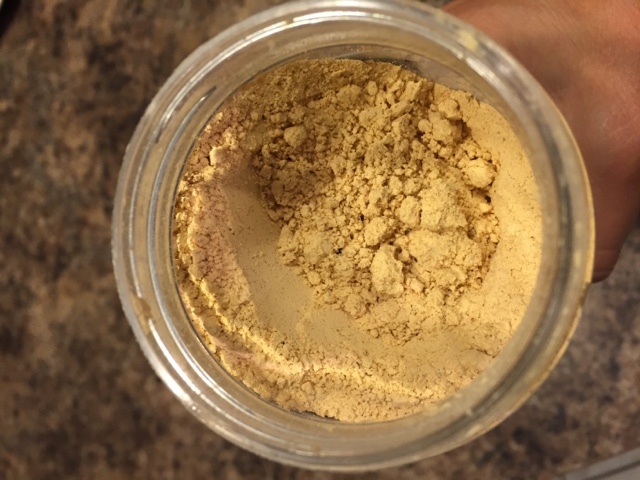 One of the newest crazes to hit the fitness and food world is powdered peanut butter! I've tried one other brand in the past and I really like it. The brand that I'm reviewing on behalf of Fitapproach and #SweatPink is Peanut Butter & Co. 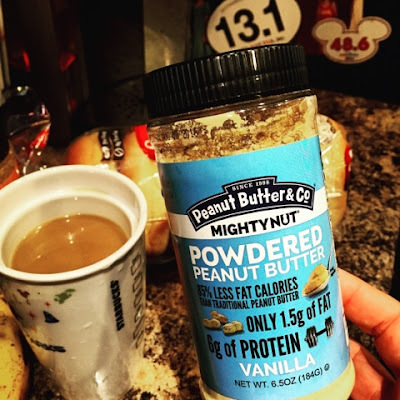 Mighty Nut Powdered Peanut Butter. 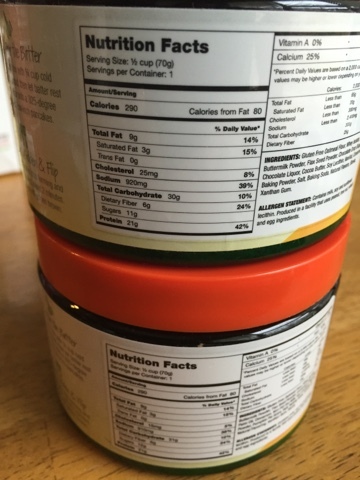 I have two flavors to use....Original and Vanilla. Other flavors available are Chocolate and Flax & Chia. Decisions Decisions.....Which to try first?? 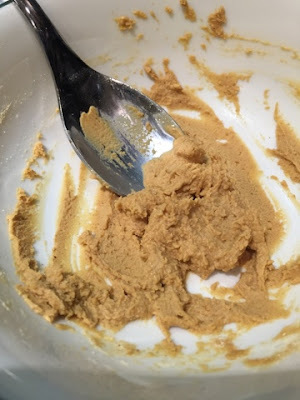 I use peanut butter in a lot of my recipes. I decided to test out the powdered peanut butter (Original Flavor) in my protein shake. Super easy to grab a scoop and shake it in. DONE. I will use this in my protein shakes and smoothies religiously. Whoever invented this product was an absolute genius and I'm so thankful to them! 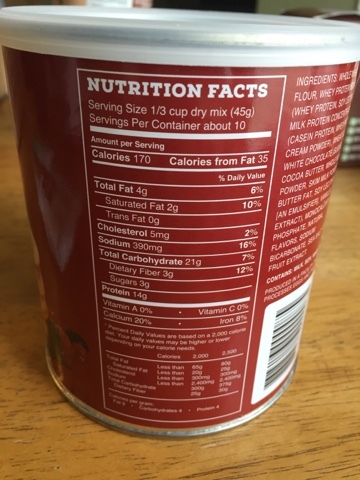 "To create each batch of Mighty Nut, we take quality USA grown peanuts, roast them, and press them to remove most of the fat. 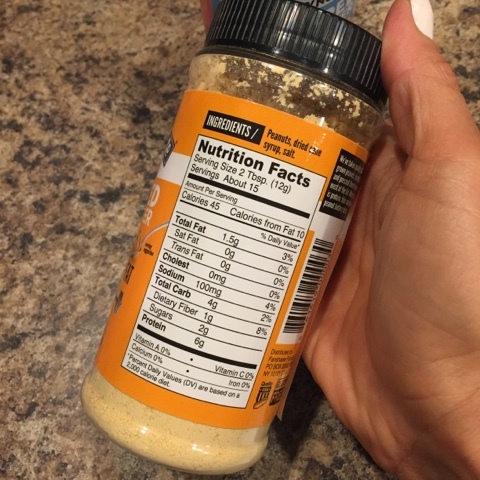 What remains is protein, fiber and delicious peanut buttery taste. Mighty Nut powdered peanut butter can be rehydrated and used as a spread or dip, or as an ingredient in baking, cooking or smoothies and it is available in four delightful varieties." Next, because I have three hungry children with a sweet tooth, I tried sprinkling the powdered peanut butter on White Chocolate Macadamia Nut frozen cookie dough. I sprinkled a generous amount on top and baked according to directions. 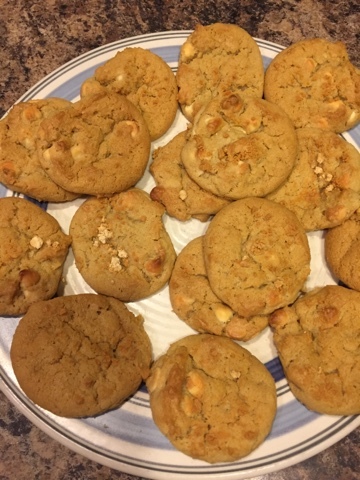 They turned out delicious! 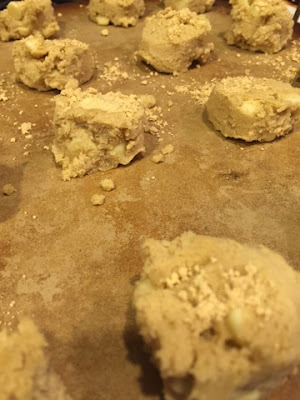 Instant peanut butter cookies...so easy! 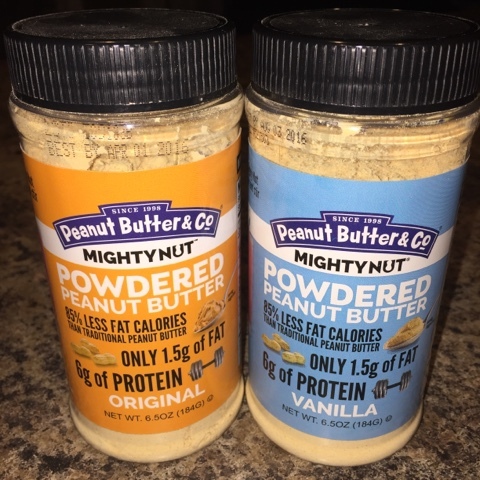 One of the benefits to using powdered peanut versus using regular peanut butter is being able to take it on the go! I'm a busy busy Mom and never leave home without a lunch box. I stashed a jar in my gym locker too. Seriously, when I work out hard...I get the shakes. I have found the PERFECT SOLUTION. Taking my powedered peanut butter to the gym! 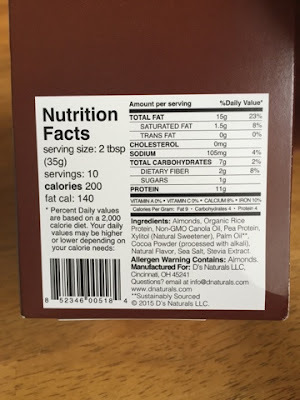 My last experiment with this product was to just simply try it out the old fashioned way. I added water, making it just the right consistency. 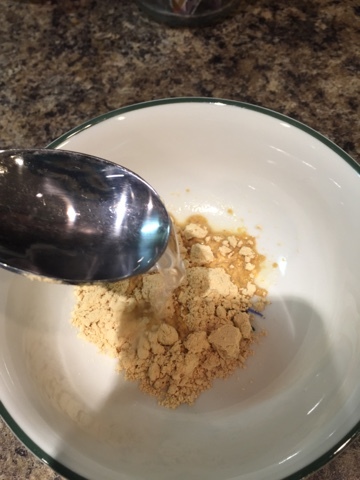 The powder is not thick either....easy to mix! 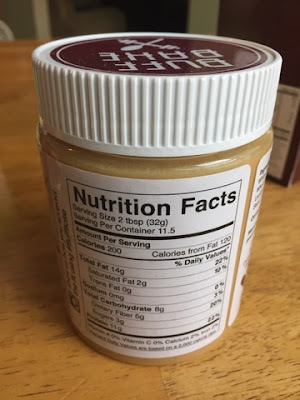 I made this peanut butter to the consistency that I like! 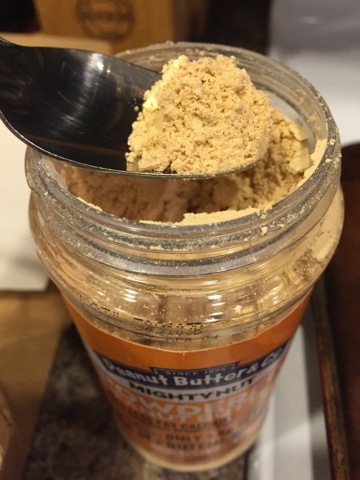 My FAVORITE way to eat peanut butter of any kind is to eat it by the spoonfuls! 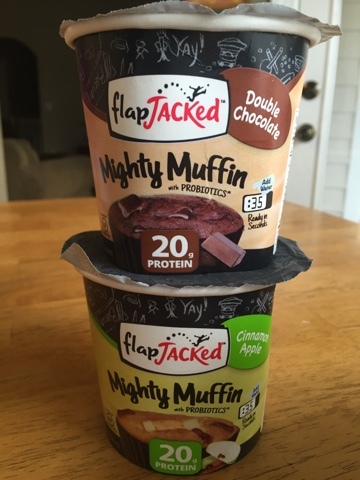 Both flavors were really good and I can't wait to try out the Chocolate and Flax & Chia. *Winner will be contacted no later than November 20th! Thanks and Good Luck to all of those who enter! 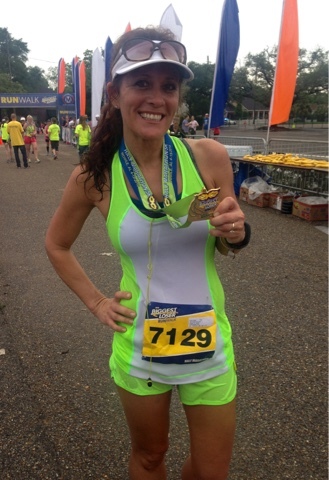 A few months back, I ran the The Biggest Loser Half MarathonBiggest in Mobile, Al....Super fun race with an awesome course through beautiful downtown Mobile. Several of the members from the television show were on hand cheering on the runners, speaking at the expo and there for overall moral support. So cool! This was my second year in a row to run this race so I like to refer to myself as an official "Biggest Loser" now. ;)) However, this was by far one of the MOST HUMID races that I have ever ran. Good grief. I was SOAKED at the finish. Again, my soaking wet finish line photos...Biggest Soaking Wet Loser, yeah that's me! LoL. Loved the race. Loved the Bling! My time wasn't the best that I've ever ran but I was proud of it. Just the day before I had ran the Statue to Statue 15K in Birmingham, Al. This race is known as the "South's toughest 15K." Seriously. I believe that. The hills are just stupid steep. My legs were on fire. My legs were sore. My legs were just mad. Not bad after completing Statue to Statue 15K the day before. One of the coolest things that I came across at one of the vendor booths was this little gadget called The Heal Blade. I am ALL ABOUT my foam roller and my Stick so I wasn't sure how this guy would stack up against those two. By looking at it, I was a little weary. Compared to my foam roller, this fella was tiny. Oh WOW. This hurts SOOOOOOO GOOOOOOOD. The girl that was working at the booth happened to be part owner of the company and was more than helpful in properly demonstrating this tool for me. She made me sit directly across from her. She applied a light amount of lotion on my leg and then began to use The Heal Blade. She said that the lotion (or use could use any type of lubricant) aids in reaching those deep muscles and allows The Heal Blade to be used smoothly. It's one of those things that when you first begin to use it. OUCH. The more you use it, the more you massage, the more you reach those deep muscles....It felt GREAT! I love the picture above though. It totally captures the initial feeling. Hello tight muscles...what did I expect?? I need this fella in my life everyday. DOES HEAL BLADE HELP PLANTAR FASCIITIS? Plantar Fascitis is a syndrome of acute and chronic pain of the heel and bottom of the foot (the arch). The pain can be from over use tendonitis, heel spurs, calcification or tendonosis. Very often, the pain that is felt over the heel and arch of the foot actually originates from the lower leg! The calf muscles are made up of the superficial gastrocnemius and the deeper soleus muscles. The tendonous portion of these muscles combine to form the Achilles tendon which inserts into the calcaneous (heel). Strains, tightness and rigidity of these tissues can ultimately lead to heel and plantar foot pain. It is therefore of great benefit to treat these lower leg tissues to prevent pain but also to treat pain and enhance recovery. just how much they love this little gadget. The Heal Blade provides myofascial scraping, release and trigger point therapy by segmentally elongating muscle bundles and deep tissue pressure. Because of it's unique design qualities, the Heal Blade can simultaneously release multiple lesions in minimal time with virtually no physical effort. The Heal Blade is fastly becoming a standard training device at each level of every sport. Pre-activity stretching of muscle, without hyper-extending the joint, is a benefit beyond measure in certain sports. Post-activity use of the Heal Blade enhances and accelerates muscle recovery, which leads to elevation of performance. Professionals report that strength, flexibility, and endurance occur naturally with release of the myofascia and inactivation of offending trigger points. The Heal Blade is strategically designed with convex/concave surfaces as well as contoured edges making it easy to reach most muscle groups. With this in mind, the Heal Blade is offered in one universal size. The majority of occupational injuries are musculoskeletal in nature. These injuries have gradually reached such mammoth proportions that some authorities label them a public health crisis. Today, many companies are turning to wellness programs as an investment in protecting human capital. They are searching for productive programs that combine minimal capital outlay, small investments of time, with ease of application. It is a physiological fact that warm muscle works better than cool muscle. Muscle is best warmed by the increase of circulation. The Heal Blade is designed to prepare muscle for work and to improve circulation and muscle compliance at the work station. Our mission is to provide the worker with the methods to feel better, work harder, last longer and recover faster. I encourage all of my runner and sporty friends (and especially those with Plantar Fasciatis) to give the Heal Blade a try. My legs feel great and my muscles are DEFINITELY not as tight as they were prior to using this little gem. 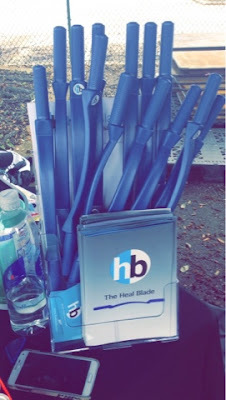 For more information on the Heal Blade please visit www.healblade.com. Disclaimer: I was provided a Heal Blade for my own testing and usage in return for my honest review. 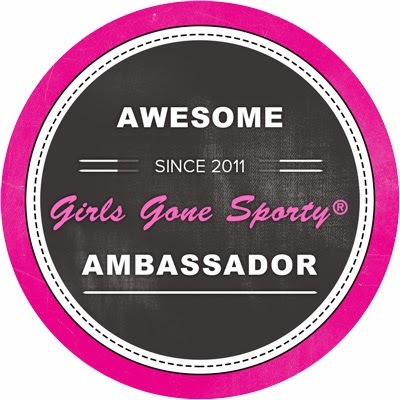 I am a fan of this product and will definitely recommend it to my athletic friends. 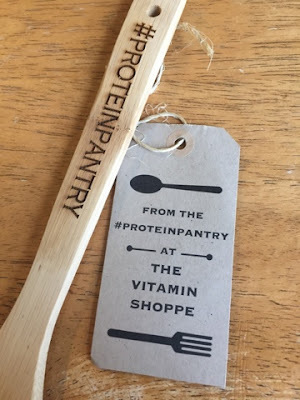 Excited to be theVitamin Shoppe and #ProteinPantry Ambassador! Vitamin Shoppe and #ProteinPantry Ambassador! I was super excited to get the email saying that I had been chosen to be a theVitamin Shoppe and #ProteinPantry#ProteinPantry Ambassador! 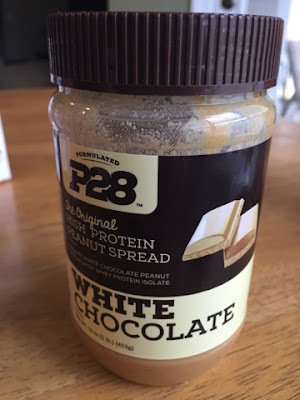 I'm a fan of all things protein and probably eat a minimal of 2-3 big spoonfuls of peanut butter a day. My protein shake addiction is OUT. OF. CONTROL. I want to be Ambassadors to products that I love and will actually use! 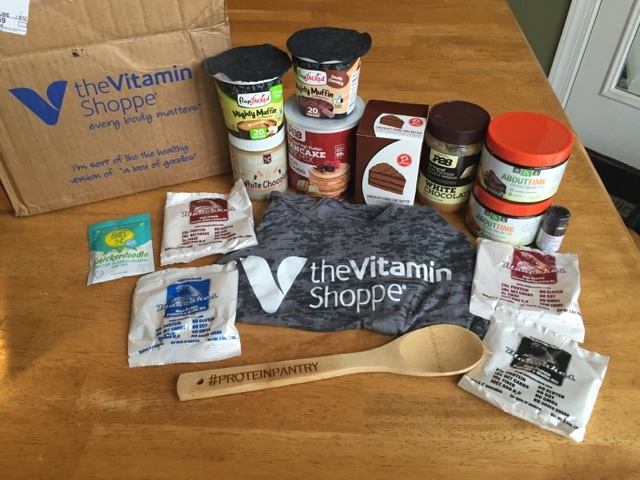 The nice folks over at Vitamin Shopoe sent me a huge care package of products to test out and try. I had no idea what to expect so I was shocked at the amount of goodness that arrived on my doorstep. 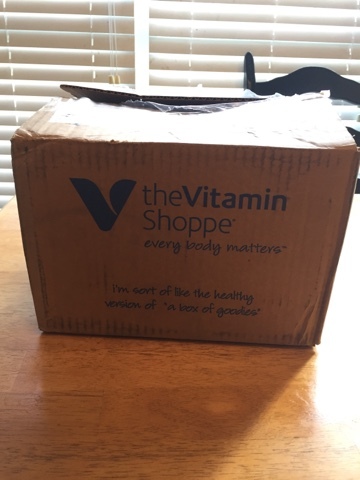 A huge box of goodies...Thank you theVitamin Shoppe! Products courtesy of the Vitamin Shoppe. Take a look at some of these awesome products! 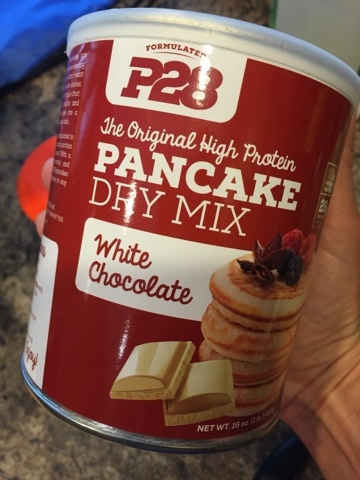 "P28 High Protein Pancakes are the perfect option for those leading a healthy lifestyle who don't want to give up their favorite breakfast dishes. 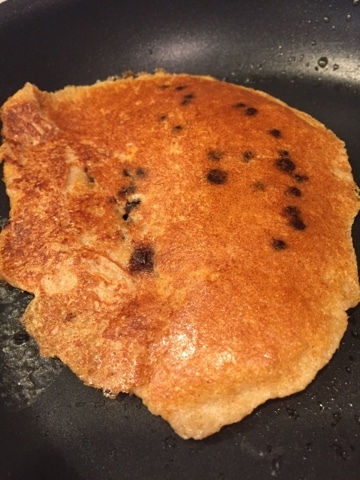 A hearty breakfast staple that is perfect for both adults and children, these pancakes are a healthy twist on a classic dish. 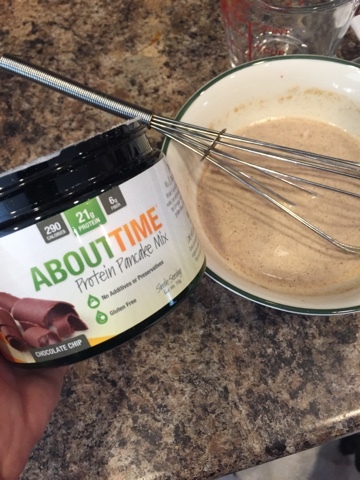 Our pancake mix is formulated to provide you energy and nutrition when you need it most. With a great balance of protein and carbohydrates, our P28 pancakes are an excellent addition to any meal." I love that these muffins can be prepared right in the cup. 1. REMOVE lid and protective film. 2. ADD water to fill line. DON'T OVERFILL. 3. 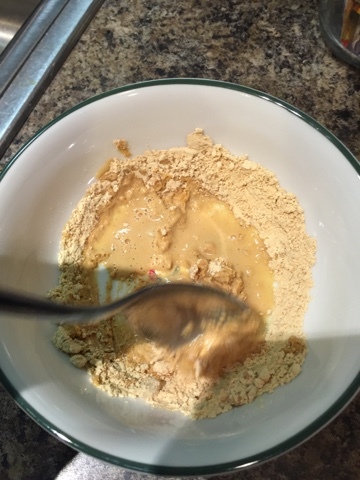 STIR WELL using a fork. 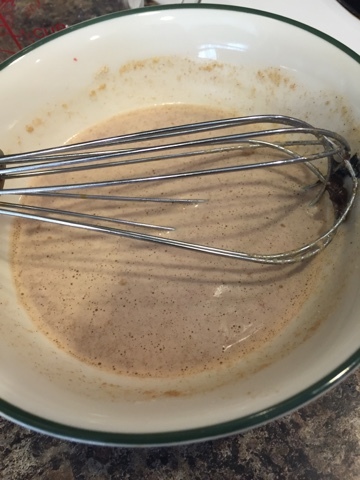 Batter will be thick (like thick cake batter). 4. MICROWAVE on high for 35 seconds. If muffin is still wet on top put lid on and let sit for 1-2 minutes OR heat for another 5-8 seconds. 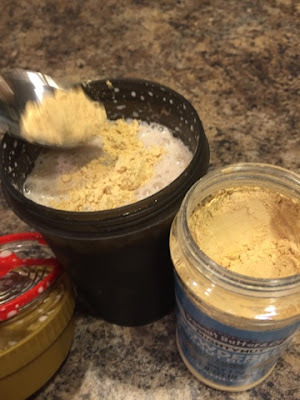 "Creamy White Chocolate Peanut Spread with Whey Protein Isolate. 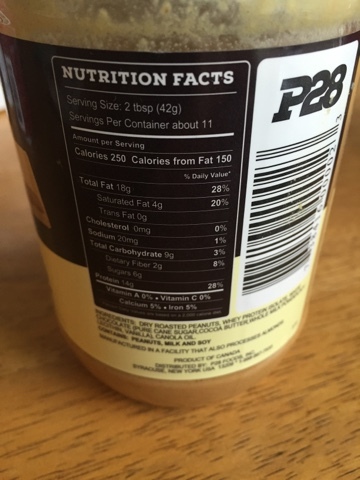 Two Tablespoons of P28 Spread on one slice of P28 Bread provides 28 Grams of Protein!" Roasted Peanuts, Whey Protein, White Chocolate (Cane Sugar, Cocoa Butter, Whole Milk Powder, Nonfat Dry Milk, Soy Lecithin, Vanilla), Coconut Palm Sugar, Chia Seed, Flax Seed. *Manufactured in a facility that also processes almonds. 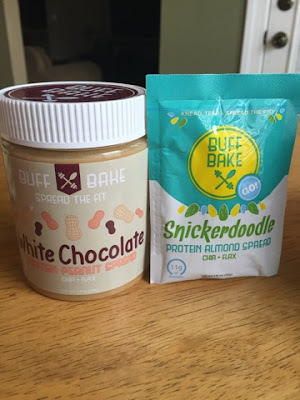 Follow the hashtag #BuffBake and #Spreadthefit to see more tips and recipe ideas using Buff Bake products. "Be Creative With Your Breakfast! Add milk to the dry pancake mix instead of water. Try adding nuts, bananas, blueberries or any other of your favorites to the batter for added crunch and flavor! Don't forget the toppings--our pancakes do taste amazing with original maple syrup, but you can also use honey, yogurt, agave, peanut butter or even chocolate!" Time to whip up something in my kitchen using some of these products! Now for the test! I need to actually start making some items with my ingredients. Protein pancakes are so interesting to me. 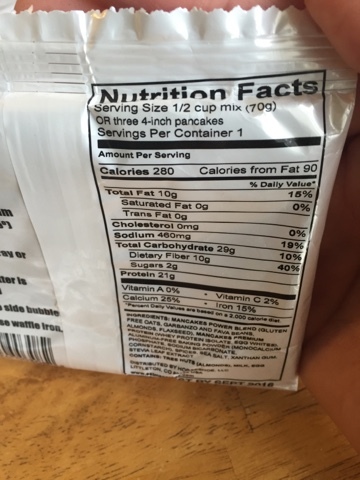 Since I don't eat a lot of sweets, my biggest question was how can I eat pancakes without syrup or whipped cream?!? My answer?!?...Honey. All natural and totally the good kind of sugar. 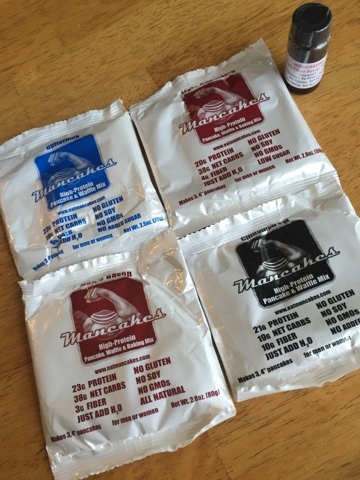 Let the recipe testing begin! 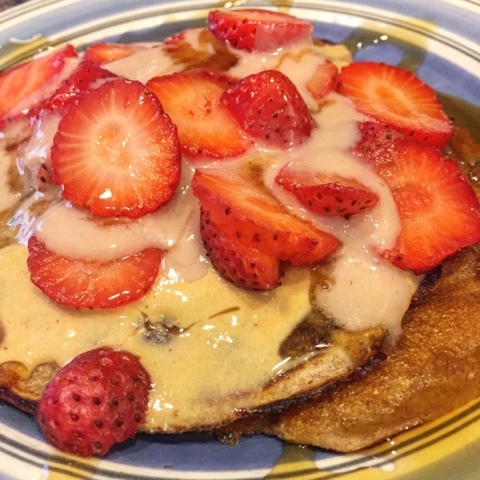 I decided to make Chocolate Chip Protein Pancakes and smother them with blended strawberries and bananas, slather with White Chocolate Peanut Butter, top with fresh cut up strawberries and then drizzle with honey. Sooooooo delicious and healthy!! Strawberries, Banana, Vanilla and Honey. 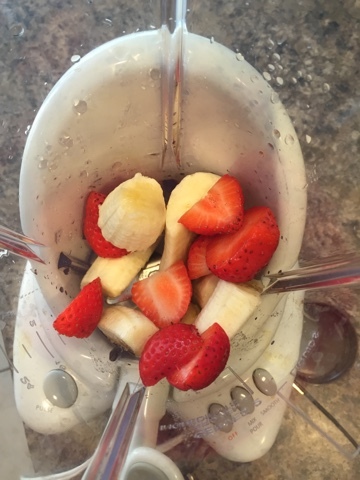 First I blended strawberries and banana, 2-3 drops of vanilla and splash of honey in the blender. Set aside. 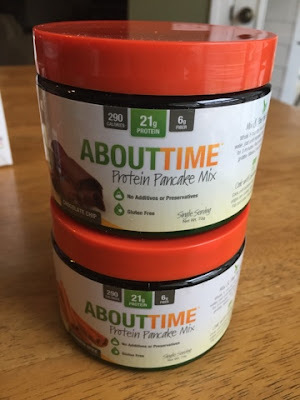 Next, I mixed up the About Time Protein Pancake Mix and water together according to directions on the package. I set that aside for a few minutes to let thicken. After the batter was thick enough to my liking, I warmed up just a tiny lit bit of butter in my skillet and poured the batter in. I cooked the pancake for approximately 2-3 minutes until they were golden brown on each side. Sorry I don't make pretty perfect circular pancakes...but they are taste great and that's all that matters! 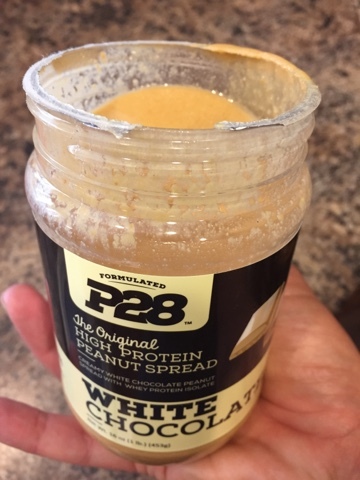 When the pancakes were finished cooking, I put them on the plate and spread the P28 White Chocolate High Protein Peanut Spread on them. The pancakes were still warm so the spread was melting...yummmmmm. Chocolate Chip Protein Pancakes...BamagirlRUNS Style! Thank you again to the Vitamin Shoppe and the other great companies who sent me these yummy products. 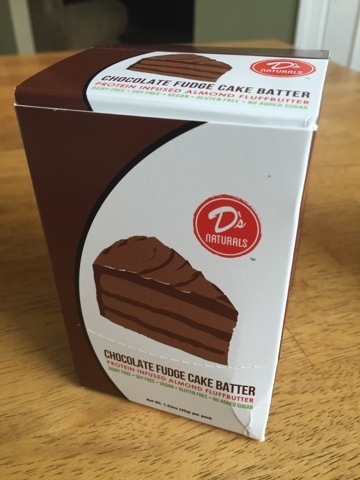 I will continue to make other healthy creations with these products! Stay tuned! 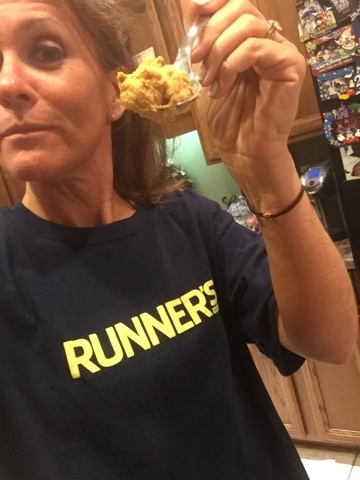 Happy Running and Happy Healthy Eating! 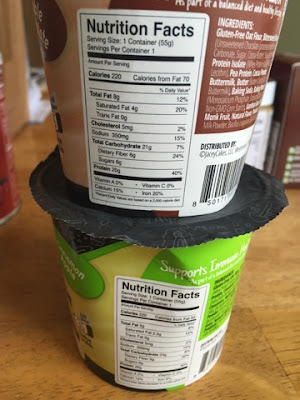 I was provided these products in exchange for my honest review and recipe creation. All opinions are my own and I will be using these products as claimed in the near future! 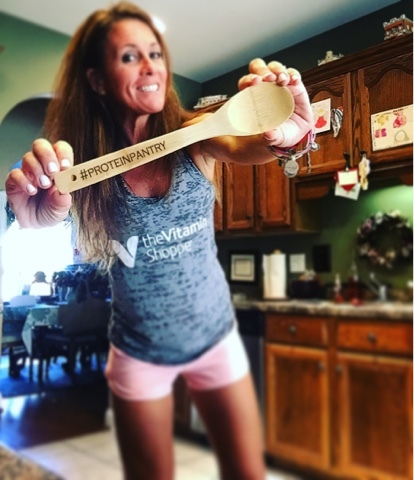 This post was sponspored on behalf of theVitamin Shoppe, #ProteinPantry and Fitfluential. 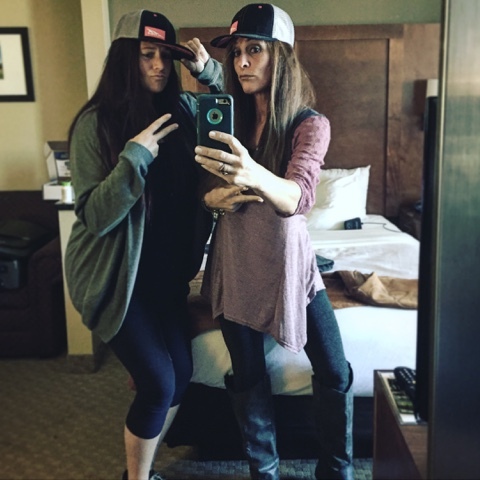 All week long, I've been back home, back to reality and really thinking about how I wanted to recap my Runner's World & Half Festival presented by Altra experience. 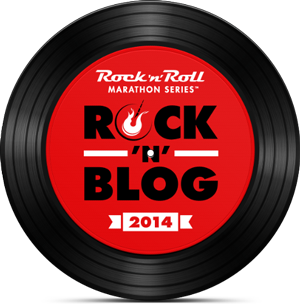 I will be honest and admit that I struggle with writing recaps immediately following a race. I like to soak in the experience and not feel rushed in my writing. However, when I crossed the Finish Line last Sunday during the half marathon, I was OVERWHELMED with emotions. Not typical for this thick-skinned funny Bama girl. I don't cry. I don't like for anyone to see me cry. I don't like to be sappy. But this race, this experience, this journey, this medal......I couldn't hold it in. I sobbed like a baby going down the chute at the finish and I'm okay with it. I was the third to the last finisher and I couldn't have been any prouder. Rewind if you will to Labor Day September 7th, 2015. 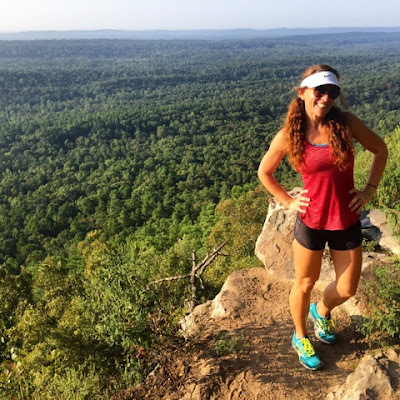 My running group and I decided that we would go trail running at Oak Mountain State Park in Pelham, Alabama. We run the streets of Birmingham weekly and wanted a change of scenery. It was a gorgeous day, my friends were all off of work and we were having a great time running the trails. I was super excited to get some trail running in as I was registered to run the new 3.8 mile trail run during Runner's World Half and Festival weekend in just a few weeks. When we got to the top of the mountain, we took lots of pictures and I remember asking one of my buddies how far we had ran. He told me that we were almost to 2.5 miles so I knew that we were going to get almost 5 miles in that day. Cool! Now I knew the 3.8 mile trail run was not going to eat me alive! I knew that I could run all of the distances. 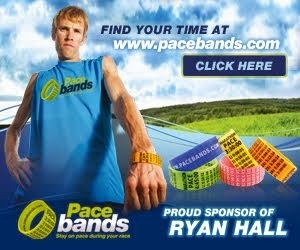 I was registered to run the 3.8 mile trail run, the 5K, the 10K and the Half Marathon. A total of 26.2 miles for the weekend! Marathon status...Holla!! Not bragging but I knew that I could run these distances. I'm trained for these kind of "challenge" races. However, I'm not a trail runner so I was worried about that one. Coming down the mountain, I roll my ankle. I hear it snap. Good grief. I walked the last mile and a half down the mountain just knowing what was about to go down. Diagnosis?!? BROKEN. Life as I knew it changed at that moment. I'm a fitness instructor, now I can't work. I have been working so freaking hard to get all of my certifications in order over the last few months. I've been taken off of the schedule and my classes were given away. This just killed me. I'm a personal trainer. Now I can't train my clients who are depending on me for their goals. Loser Trainer. I run a Bootcamp for Moms in my backyard. I can't even walk through my grass now. I'm a social butterfly. 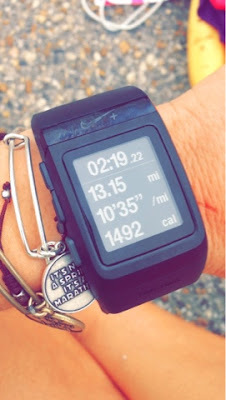 All of my social media revolves around running, runDisney, exercising, running bloggers, fitness, races. Ugh. I don't even want to look at it. Go away world wide web. Most of my friends that I hang around with, run. Lovely. Their races and long runs haven't stopped. I didn't see them for over a month. Not gonna lie. I HATED EVERY SINGLE MINUTE OF THIS. But......I've been home more and had lots of down time and I really thiink that I just needed that. My kids and my hubs needed that. We've had some rocky times over the past few months. Slowing down is good even though I don't like it, it's just good. Now I'm just beating myself up over and over and over again for being so selfish and bratty. "Get over yourself Kristin. It's one broken ankle. There are so many people in the world with much bigger issues. Seriously. You are the worst." My Orthopedic set me up with a "let's get you back to running plan but just know that you won't complete any challenge races anytime soon." *6-8 weeks in the boot depending on my healing via x-rays. --Third week...25-50lbs of weight bearing on my right leg. --Fourth week..75-100lbs of weight bearing on my right leg. --Fifth week...X-rays were fabulous. Out of the boot and into a brace with physical therapy at a specialized sports clinic. --Sixth week....cleared to resume normal low impact exercise. *I put my boot on, slept with it and only took it off for a quick 5 minute shower. Somedays I never took a shower. I never wanted to take that boot off. HEAL ALREADY. --I don't think I ate a full meal for the first two weeks. I lost at least 8 pounds. I quit counting after that. --The crutches were completely on my nerves but I used them when I needed to. --Third week..I went back to the gym. I worked my arms and back out like crazy. Lou Ferigno didn't have anything on me. 20lbs on leg press machine was tough but it felt good. --Fifth week..I feel great. I'm out of the boot and headed to physical therapy. 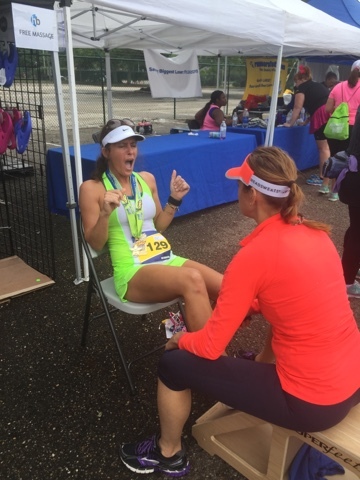 He knew that I had it in my brain to finish Runner's World Half Marathon. I told him that's all I would do. I would definitely not attempt the trail race and had zero intentions of trying to finish the 5 or 10k either. He gave me the clear to try to walk the half marathon but warned me that he wouldn't have to tell me if I was pushing too hard. I would know it. 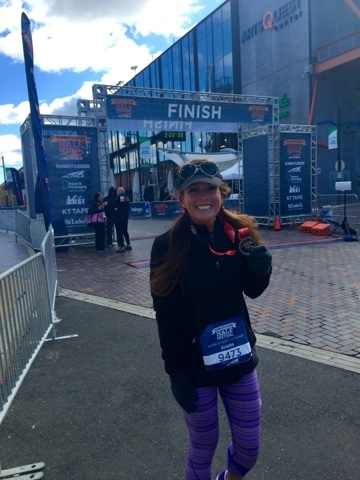 I wanted to be smart but dangit I wanted to finish those 13.1 miles. This is me having a talk with this crazy boot. I'm like "hey girl. here's what we're gonna do"
The very first thing that came into my mind after I broke my ankle was...OMG. Runner's World Half!!! I had been dying to run this race for years and I finally had this awesome opportunity and seriously? I break it almost 6 weeks before THIS race???? I just can't take it. I'm beyond broken-hearted. 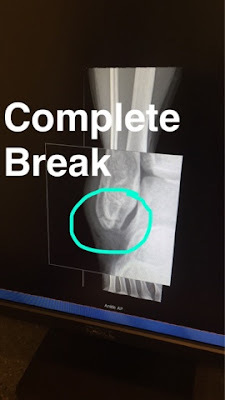 Almost immediately after I posted a picture on Facebook of my broken ankle x-ray, David Tratner from Runner's World PR sends me a message to tell me how sorry he was and to please not worry about trying to make the trip. He was so encouraging and so understanding. I knew at that moment that I wanted to make it my life goal to make it to Bethlehem Pennsylvania in less than 6 weeks. I was on a mission. By the end of our conversation, he says to me "If you think you can do it, we got your back". Those were the only words that I ever needed to hear. From that moment on, I needed to change my thinking. I needed to change my focus. I needed to heal and I needed to heal properly. I had a terrible angry attitude and I needed to change it. ASAP. I was so humbled by the fact that Runner's World Magazine invited me and because of their generosity and support, there was NO WAY that I would ever want to let them down. Fast forward through the next 5 1/2 weeks....working out and healing in progress. Everyday. I'm flying to Allentown, Pennsylvania. 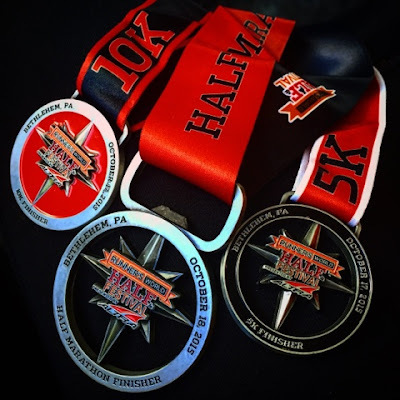 I never dreamed in one million years that I would EVER go fly away to run a race with Runner's World Magazine or go to Allentown. All I could think about was the Billy Joel song. I'm a music junkie and I've loved and sang that song all my life it seems and now I was on my way there. 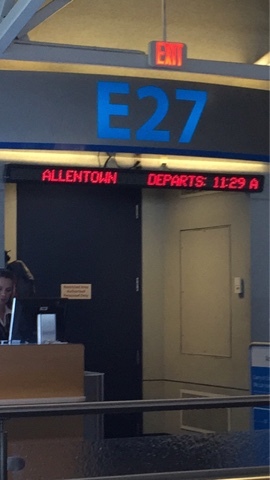 It was really one of those crazy moments when I just thought.."Am I really about to get on a plane and go to Allentown, Pennsylvania to hang out with the folks at Runner's World? How crazy is this?" It's totally crazy and I'm still in disbelief somedays. I was not out of the air for more than an hour when we decided to go grab a quick bite to eat. I checked in with my hubs to tell him that I had made it safe and sound. He was at the Dr. office with my Justin. 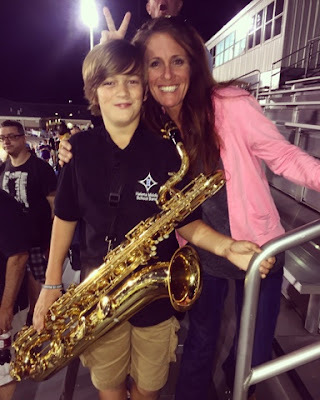 My boy plays the Baritone Saxophone in the 7th grade band and had been complaining that his mouth was feeling kinda weird lately when he plays and his eye was twitching funny. I was thinking he may need to have his eyes checked or need new reeds for his instrument. We all have bad vision in my fam....I was sure it was his eyes. Yep. That's it. New reeds and bad vision. He said he would text me back after they saw the doc. Twenty minutes later, I get the text.. I had to the leave the room and step outside to read it again. I was about to lose it. and that was all it said. Why am I here? Why did this happen? My kids are everything to me. Again, I'm the most selfish person on the planet. It's a runner's dream to work/be a part of Runner's World Magazine! I don't want my priorities to be mixed up. I want my heart to always be in the right place. My hubs re-assured me that he was going to be fine. It just had to run its' course. Bells Palsy was most likely caused by some sort of infection. We never even knew he had an infection. "Go have fun." I tried to believe him but I was worried to death about Justin. I prayed hard for my boy. Now I was on a new mission. I had traveled to Allentown and Bethlehem, Pennsylvania from Alabama and had only planned to *attempt* to finish the Half Marathon. Now I was going to finish ALL FOUR RACES WITH A BROKEN ANKLE AND ALL. My boy is the only one in my fam who loves to see my race medals and I was going to bring them home for him. Period. The End. I knew it wasn't going to be easy. I knew it was going to hurt. My legs were strong and I was going to crawl to the finish if I had to. I love my boy that much. I will recap every one of the races in a "race recap style" in future posts but I wanted to share now why I was a crybaby at the finish line and why when I crossed the final finish line for the weekend, I looked at David Tratner and said, "you just witnessed me earning my most favorite race medal EVER". And I meant it. I don't think I have ever been more proud of myself than I was at this very moment. I smiled, I laughed, I Roll Tide'd, I cried and I brought my medals home to my little boy. I will forever love Runner's World Half Marathon & Festival. I cannot say enough good things about the race, the course, the seminars, the venue, the sponsors, the entire organization, etc. I hope to come back one day and actually be able to *run* but if that never happens, that's okay too. I will cherish this weekend forever. I made life long new friends, ran for my precious purpose and came home with a whole new sense of urgency to run with a purpose and create a life that is meaningful and full of endless possibilities all while keeping my priorities in order. Nothing about healing this ankle was easy. It's still not easy. I still can't run. In fact, I walked all 26.2 miles of Runner's World Half & Festival Weekend. I wouldn't trade one step of walking for running either. At the time, when the gun was fired, I wanted to run. Gosh, did I ever want to run. But I didn't. I walked. And I walked. And I walked. And then walked some more. I needed to get through this the hard way. My healing has been 99% mental and as weird as this sounds, I have loved the healing process. I loved the "challenge" of being down and having to rise up. I loved having to force myself to have a positive attitude when I wanted to just throw in the towel and give up. 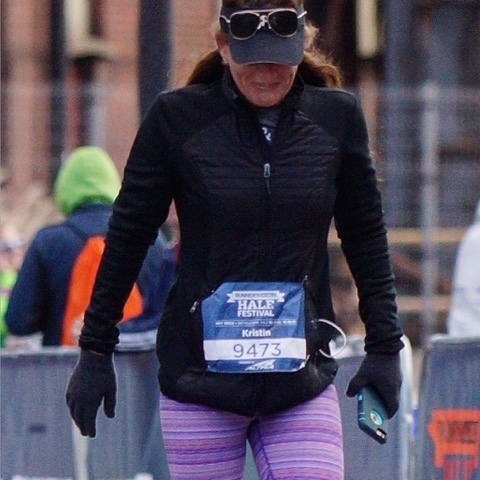 I loved finishing this race with a purpose for finishing and not just because I just wanted to log some miles for the weekend and use this half as a training run for a longer distanced race. **Update on my boy...he is doing great! His side effects are barely noticeable now and will be able to keep playing his saxophone like a champ. One day when the time is right, I will give him those medals from this weekend and tell him just how much he (and my girls) are my inspiration for every step that I ever take in life. Literally. Healing is a FABULOUS process and I needed to soak in this six-week experience in its' entirety. Through it all, I have been reminded by my own self that I can stand on my own two feet, rise up against any situation and keep my priorities straight in the process. 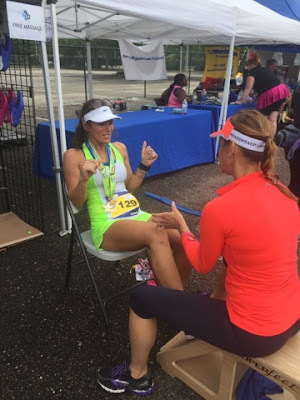 I completed the ultimate "Challenge" race and I will always be forever thankful to my broken leg, my fam, my friends and Runner's World for this amazing experience.